The River City Community Players is an active Community Theatre based in Leavenworth, Kansas and was founded by Verneil Searles. We began operating under the Auspices of The Leavenworth Parks and Recreation Department in 1977 at the historic Hollywood Theatre. 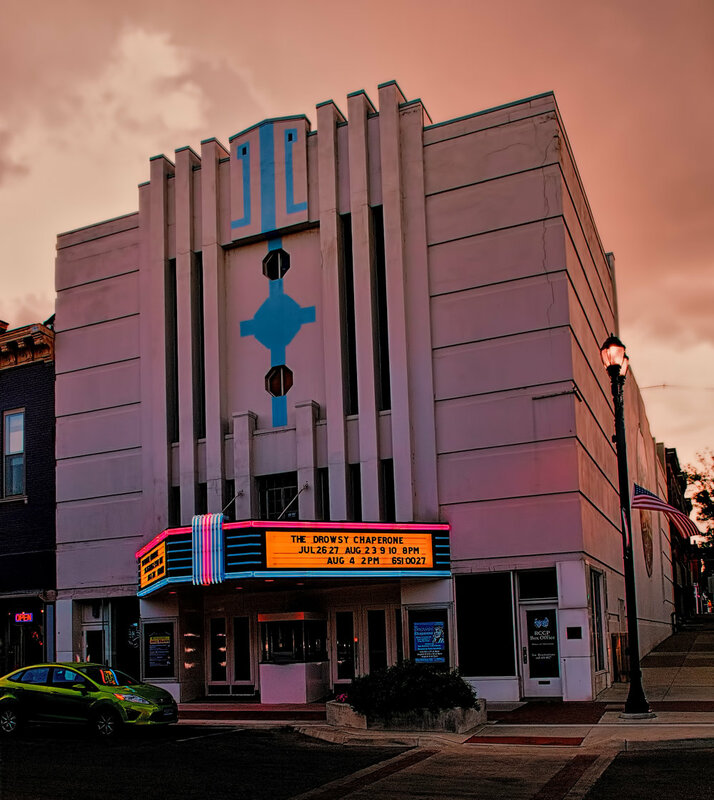 The Old Hollywood Theatre would then become known as The Leavenworth Performing Arts Center where our Community Theatre productions run to this day, with the RCCP having been the principal occupant of the theatre. The RCCP provide the community in the Leavenworth area a unique Theatrical experience in an early 20th century Art Deco Theatre that has been modified for live theatrical productions. Currently the RCCP shows four main stage productions a year with two being Musicals and two being Non-Musical productions. There are also two youth productions produced throughout our seasons in addition to our annual Christmas Show.